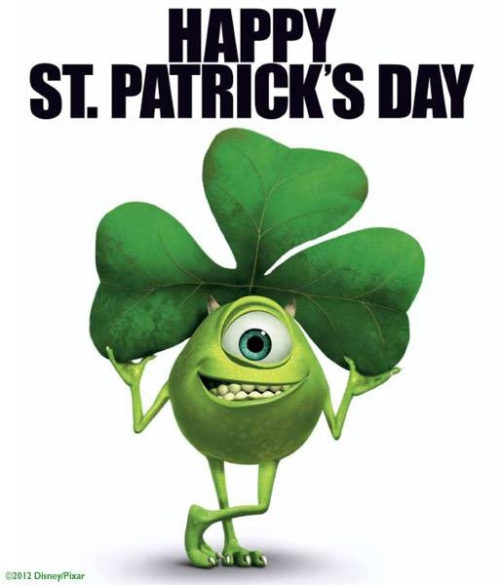 First of all, Happy St. Patricks Day. Sorry for the delay in Posts. I haven't quite found anything worth posting here to show you guys. However, I did find my way onto Pinterest. Hopefully sometime this week I will be able to post something I find. Another thing is that my 1st year Anniversary is coming up. not a lot of people comment here). Pinterst is so addictive. I try to limit my days on there because once I get there I am there for hours and hours and hours :). I clicked to start following you. Just wanted to say that more people might post if you didn't use captchas. If you are worried about spam you could moderate comments. I know normally I don't comment if I have to do captchas, its so hard to read most of them. Just an idea that might help get more comments.